Boeing’s strategy set off a cascading series of engineering, business and regulatory decisions that years later would leave the company facing difficult questions about the crash off Indonesia that killed 189 people. Boeing scrambled to counterpunch. Within months, it came up with a plan for an upgrade of its own, the 737 MAX, featuring engines that would yield similar fuel savings. And in the years that followed, Boeing pushed not just to design and build the new plane, but to convince its airline customers and, crucially, the Federal Aviation Administration (FAA), that the new model would fly safely and handle enough like the existing model that 737 pilots would not have to undergo costly retraining. But the tragedy has become a focus of intense interest and debate in aviation circles because of another factor: the determination by Boeing and the FAA that pilots did not need to be informed about a change introduced to the 737’s flight control system for the MAX, some software coding intended to automatically offset the risk that the size and location of the new engines could lead the aircraft to stall under certain conditions. And it has put a new focus on whether the FAA has been aggressive enough in monitoring Boeing in an era when technology has made airliners both remarkably reliable and increasingly complicated. European regulators initially disagreed with the FAA’s judgment about the need for additional training but ultimately went along, a pilot familiar with the certification process said, while regulators in Brazil broke with the FAA and required that pilots be made familiar with the change. Boeing has taken the position that the pilots of the Lion Air flight should have known how to handle the emergency despite not knowing about the modification. The company has maintained that properly following established emergency procedures — essentially, a checklist — long familiar to pilots from its earlier 737s should have allowed the crew to handle a malfunction of the maneuvering characteristics augmentation system, known as MCAS, whether they knew it was on the plane or not. The FAA declined to comment about the crash but acknowledged that its own role was being examined. “Any time a new system is introduced into an airplane, we are the people responsible for that airplane,” said Jon Weaks, president of the Southwest Airlines Pilots Association. John Barton, a 737 captain who spoke on the condition that the airline he flies for not be identified, said the blame started with Boeing and the FAA but extended to airlines and pilot unions. “Many pilots feel the training was inadequate, and therefore it appears to me that Boeing, the FAA, the airline training centers and possibly the unions themselves are culpable for the incident that happened,” he said. In designing the 737 MAX, Boeing was selling airlines on the aircraft’s fuel savings, operating cost reductions and other improvements. But at the same time, it was trying to avoid wholesale aerodynamic and handling changes that would spur the FAA to determine that existing 737 pilots would need substantial new and time-consuming training. Internally, a primary requirement for the MAX was that no design change could cause the FAA to conclude that pilots must be trained on the system differences between the then-current version of the plane, the 737 NG, and the MAX using simulators, said Rick Ludtke, a flight crew operations engineering analyst who was involved in devising some of the other new safety features on the 737 MAX. Early analysis revealed that the bigger engines, mounted differently than on the previous version of the 737, would have a destabilizing effect on the airplane, especially at lower speeds during high-banked, tight-turn maneuvers, Ludtke said. The concern was that an increased risk of the nose being pushed up at low airspeeds could cause the plane to get closer to the angle at which it stalls, or loses lift, Ludtke said. After weighing many possibilities, Ludtke said, Boeing decided to add a new program — what engineers described as essentially some lines of code — to the aircraft’s flight control system to counter the destabilizing pitching forces from the new engines. MCAS, according to an engineer familiar with the matter, was written into the control law, the umbrella operating system that, among other things, keeps the plane in “trim,” or ensures that the nose is at the proper angle for the plane’s speed and trajectory. In effect, the system would automatically push the nose down if it sensed that the plane’s angle was creating the risk of a stall. Both MCAS and the speed trim system — the automatic stabilizer controls used on the 737 NG and earlier versions — operate primarily via the horizontal section of the 737’s tail fin, which consists of a relatively narrow “elevator” in the back and a larger surface called a stabilizer in the front. In manual flight, pilots move the nose up and down by pulling or pushing on a control column, also called a yoke, to pivot the elevator one way or the other. MCAS was written to use the stabilizers in a different way. “MCAS was necessary then for the airplane to be certified by the FAA to have met all of the regulatory design requirements for stability and control,” Ludtke said. In addition to addressing safety, MCAS also let the plane handle much like its predecessors from a pilot’s perspective. In assessing whether existing 737 pilots would need to spend hours training on simulators to fly the MAX, the FAA would take into account how similarly the two versions handled. Boeing said the modification “improves aircraft handling characteristics” and decreases “pitch-up tendency” only in unusual circumstances. “It does not control the airplane in normal flight,” the company said. The FAA would also determine what kind of training would be required for pilots on specific design changes to the MAX compared with the previous version. Some changes would require training short of simulator time, such as computer-based instruction. “I would think this is one of those systems that the pilots should know it’s onboard and when it’s activated,” said Chuck Horning, department chairman for aviation maintenance science at Embry-Riddle Aeronautical University. Ultimately, the FAA determined that there were not enough differences between the 737 MAX and the prior iteration to require pilots to go through simulator training. While the agency did require pilots to be given less onerous training or information on a variety of other changes between the two versions of the plane, MCAS was not among those items either. At least as far as pilots knew, MCAS did not exist, even though it would play a key role in controlling the plane under certain circumstances. But the FAA’s determination that the system did not have to be flagged for pilots gave pause to some other regulators. Across the Atlantic, the European Aviation Safety Agency, the European Union’s equivalent of the FAA, had qualms, according to a pilot familiar with the European regulator’s certification process. At first, the agency was inclined to rule that MCAS needed to be included in the flight operations manual for the MAX, which in turn would have required that pilots be made aware of the new system through a classroom or computer course, the pilot said. But ultimately, he said, the agency did not consider the issue important enough to hold its ground, and eventually it went along with Boeing and the FAA. When Brazilian regulators published their required training for pilots, they singled out MCAS as one of the changes that needed to be flagged. Among the many unanswered questions raised by the crash is the degree to which Boeing and the FAA considered what would happen in the event that MCAS — or the sensors that fed the system information about the plane — were to malfunction. In designing the 737 MAX, Boeing decided to feed MCAS with data from only one of the two angle of attack sensors at a time, depending on which of two, redundant flight control computers — one on the captain’s side, one on the first officer’s side — happened to be active on that flight. There is no evidence that Boeing did flight-testing of MCAS with erroneous sensor data, and it is not clear whether the FAA did so. European regulators flight-tested the new version of the plane with normal sensor data feeding into MCAS but not with bad data, the pilot familiar with the European certification process said. The stabilizers on older models could have moved in unpredictable and dangerous ways as well, because of factors like electrical shorts, bad sensor data or computer problems. 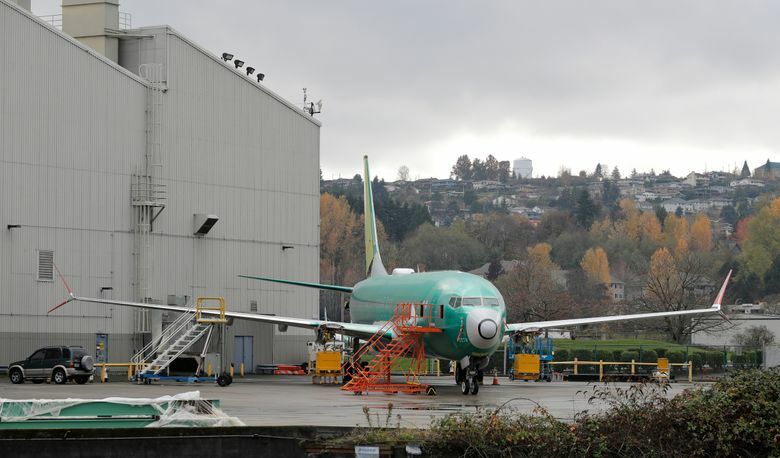 Boeing reasoned, according to people the company has briefed, as well as a bulletin it sent airlines after the crash, that the emergency procedure for malfunctioning speed trim and other stabilizer problems on the earlier 737s would work on the MAX for problems related to MCAS, too. At the heart of the debate is whether the pilots would have responded differently if they knew the plane’s nose was being forced down specifically by MCAS. Information from the flight data recorder shows that the plane’s nose was pitched down more than two dozen times during the brief flight, resisting efforts by the pilots to keep it flying level. If MCAS was receiving faulty data indicating that the plane was pitched upward at an angle that risked a stall — and the preliminary results of the investigation suggest that it was — the system would have automatically pushed the nose down to avert the stall. That feature was disabled on the MAX when MCAS was activated — another change that pilots were unlikely to have been aware of. After the crash, Boeing told airlines that when MCAS is activated, as it appeared to have been on the Lion Air flight, pulling back on the control column will not stop stabilizer runaway. The pilot of the plane’s next-to-last flight, in his entry into an electronic log, noted a variety of problems he had encountered, and speculated that the plane’s “speed trim system” — the stabilizer functions used on the 737 NG and earlier versions — was not operating correctly. But no one involved in that next-to-last flight of the doomed plane flagged MCAS or seems to have recognized that it might have been the root of that flight’s problems.